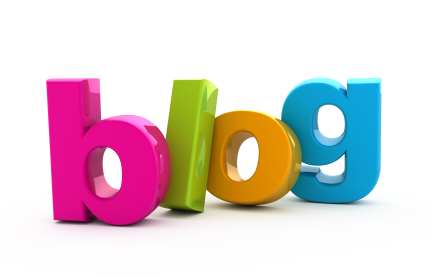 How long have you had your business blog? May be a couple of months, may be a couple of years. At some point, you feel it has become somewhat stale. It’s like no matter what you write about, your content is never new and doesn’t generate any interest. You are afraid your audience is losing interest in your blog, and fewer people are reading it as time goes by. If this rings a bell with you, maybe it’s time for a ‘revival’ campaign? Here are ten small, easy tweaks you can implement on your blog to breathe a little new life into it. 1. Try using audio content. Podcasts are becoming a thing in internet marketing, because many people would rather listen to a recording than read a post. Along with podcasts, you can try publishing recordings of interviews and other types of audio content. Most likely, you are using a content management system like WordPress for your blog. These systems allow you to add new functionality fast and easy with the help of plugins and widgets. Try adding social sharing plugins, handy subscription plugins, or other features that make your blog more user-friendly. A sure way to make people return to your blog is to have them participate in a discussion. It’s not easy to generate one though: you need to find topics and issues that really resonate with your audience and make them want to share their opinion. Even though you don’t promote your older posts any more, they still get read. They show up in search results, and people can access them as they browse your blog. So, look through your existing content and try refreshing it with better visuals, more up-to-date facts, or links to other relevant posts. 5. Refresh your ‘About us’ section. May be your vision has changed since you first wrote that page and you have other things to say about your business. Or may be a lot has happened since, and you would like to share those things with your audience. In any case, you should definitely review this section of your blog. 6. Add more (and better) visuals. Time and again research proves that visual content attracts a lot of attention and can make or break your post. So, make sure all visuals you are using are high-quality, non-cheesy, and support your story. In addition, try using more videos and infographics to make your content diverse. Of course, a major redesign is not an easy thing to do. But you can ‘play’ with your current design to refresh and update it. May be you can remove some clutter or improve your logo, so that your readers see the blog is alive and evolving. Ready to give your blog a fresh start? Try one (or all) of these simple tricks and let us know how it worked for you!